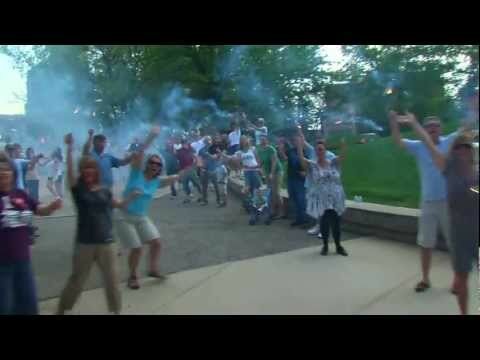 The Grand Rapids LipDub Video (http://www.youtube.com/watch?v=ZPjjZCO67WI) was a viral video that uses an all-in-one-take shot throughout the city, with no editing/splicing/multiple cameras involved. LipDub:A lip dub is a type of video that combines lip synching and audio dubbing to make a music video. The purpose of the video was to show off the excitement and beauty of Grand Rapids in a unique, compelling, emotional way after being put on a list of the "top ten dying cities" by Newsweek. 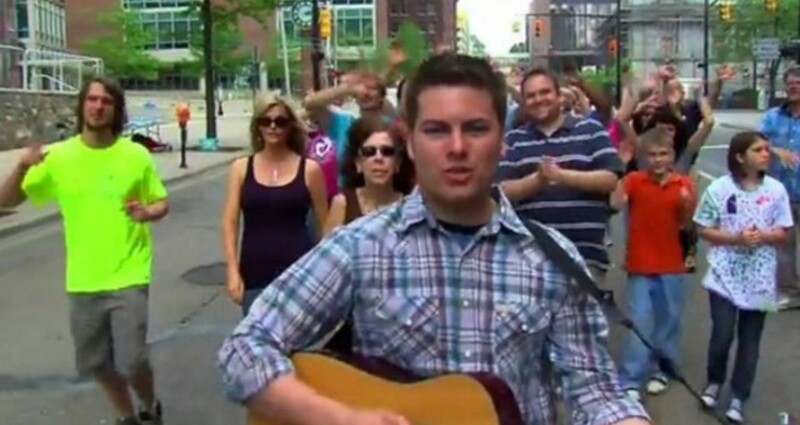 The video's objective was to make Grand Rapids look like a fantastic place to live, work, and visit. With only a budget of $40,000, the project was estimated by Grand Rapids' tourism bureau to be worth over five million dollars in positive publicity. It was featured in countless international news organizations, and was called "the greatest music video ever made" by Roger Ebert, to the citizens of the city being named "Persons of the Week" by ABC World News. 2.) The video had to be shot all in one single unedited take, throughout the shut down streets of the 2nd largest city in the state of Michigan. 4.) The video involved choreographing countless groups, from helicopter takeoffs, 250 ft. walls of fire, parades and motorcades, and 5,000+ participants.